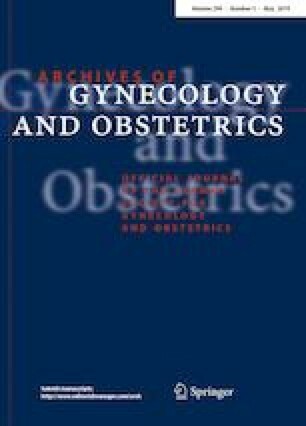 Fertility-preserving treatment (FPT) has been widely used for young patients with early stage endometrial cancer (EC). However, the literature on the effectiveness and safety of FPT remains controversial. The aim of this study was to investigate malignant transformation in EC after FPT by immunohistochemistry (IHC). A retrospective analysis of pre- and post-treatment biopsy specimens from 24 patients with grade 1 endometrioid adenocarcinoma (EAC) or complex atypical hyperplasia (CAH) was performed. The expression levels of ARID1A, PTEN, and β-catenin were assessed by IHC. The protein expression levels of ARID1A, PTEN, and β-catenin were not significantly different between pre- and post-treatment specimens. However, there was a significant difference between pre-treatment and normal specimens as well as between post-treatment and normal specimens. The protein expression of β-catenin was significantly increased in patients with progression compared with those without progression after FPT. The morphologic normalization of patients with EC after FPT may not be accompanied by the absence of tumor malignancy, and β-catenin may serve as a biomarker for the response to FPT. These results may contribute to a better understanding of the malignant transformation of EC after FPT and the optimization of treatment strategies for young patients with birth plans. We would like to thank all the clinical researchers and patients for contributing to this study. ZyL: Hypothesis and project development; TwyH: Data collection, specimen collection, data analysis, and manuscript drafting; LL: Data analysis; EY: Data collection and specimen collection; DN: IHC and RT-PCR. This study was supported by a grant from the Sichuan Youth Foundation of Science of Technology (Grant number: 2015JQ0026). This study was approved by the Institutional Ethics Committee of West China Second University Hospital. All procedures performed in studies involving human participants were in accordance with the ethical standards of the institutional and/or national research committee and with the 1964 Helsinki declaration and its later amendments or comparable ethical standards. As this was a retrospective study, formal consent was not required. However, informed consent was obtained from each patient for specimen collection.